A home that puts your interests first. Open since 1997, Champlain Manor is located in the “Sunshine City” of Orillia on Fittons Road West close to the downtown core. 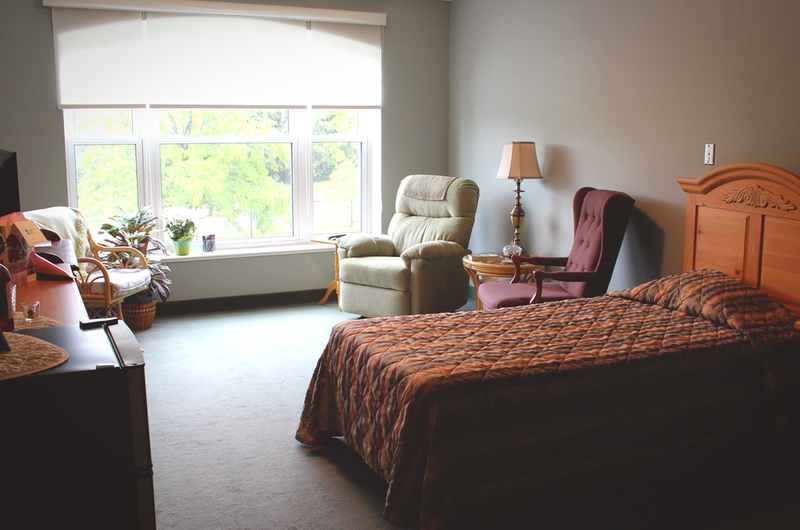 We accommodate short term, convalescent or permanent stays. 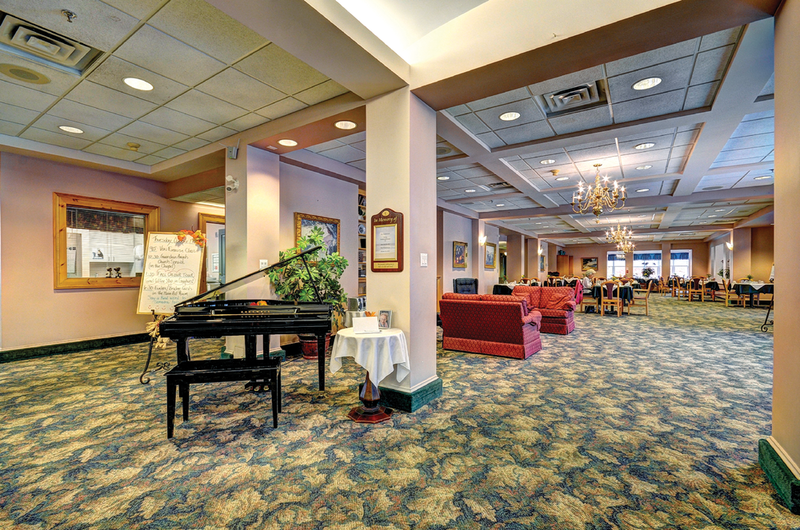 With an on-site hair salon, chapel, and activities room, our residents enjoy companionship, dignity, and security. Our 3rd floor has been designed specifically with increased care needs in mind. More than a retirement residence. We take pride in offering seniors a warm and homelike atmosphere in scenic settings, as well as active lifestyle choices. The staff are dedicated to caring for our residents with both compassion and respect. Services are available to meet a variety of needs and preferences. SHOPPING TRIPS, fASHION SHOWS & MORE! Every month we schedule Special Events, something a little extra for the residents. Delicious gourmet meals are served with customized menus for special dietary needs. View menu. MUSIC BiNGO, MOVIE NIGHT & MORE! A full-time activity coordinator arranges and assists residents with a wide variety of events, from exercises and yoga classes to card games and musical entertainment. Regular evening and weekend events are also scheduled on our busy monthly calendar. Our home offers relaxing hairdressing services, foot care and manicures available for booking at our front desk. There is a beautiful chapel located on our main floor for residents to use. Regular weekly church services are scheduled on the monthly activity calendar and the chapel is always available for private family functions and celebrations of life. Located in "Sunshine City" – close to downtown core. Located in Orillia, we're only minutes from the downtown core. This city is bustling with a variety of shops, restaurants, salons, and services that fit every needs. The Orillia Mall and Orillia Opera House are only a few minutes drive away.